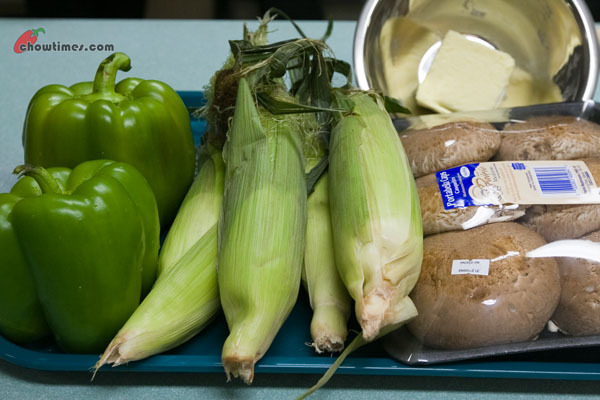 The BBQ will not be complete without some kind of vegetables. Jorge prepared a Spinach and Strawberry Salad and grilled some vegetables to go along with the BBQ fish and chicken. 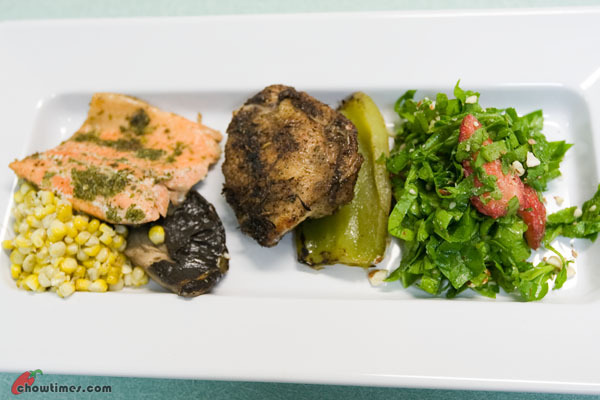 The complete meal includes BBQ chicken thigh, fish, corn, sweet peppers and portobello mushrooms. 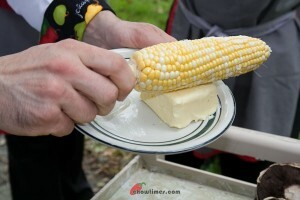 Jorge rubbed the corn with some butter and season it with some salt before grilling. 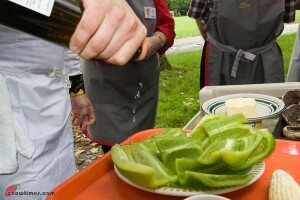 Jorge also demonstrated how to remove the seeds and membrane from the bell peppers. First, slice off the top and bottom of the peppers. 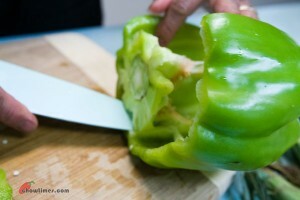 With the pepper standing on the flat bottom, cut a slit on the side from top to bottom. 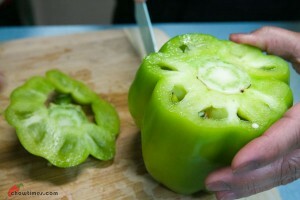 Placing the bell pepper on the side, run the knife along the inner wall to remove the seeds and membrane. Then, you can slice the pepper into wedges. Season the bell pepper with some olive oil, salt and pepper. 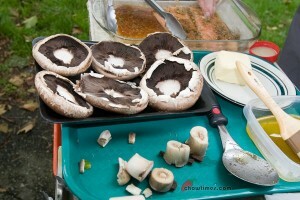 Remove the stem from the portobello mushroom. Season with some salt and pepper and drizzle with some olive oil. Grill the vegetables on medium heat until they are charred and tender, turning often and brush with a marinate of olive oil and lemon juice when needed. 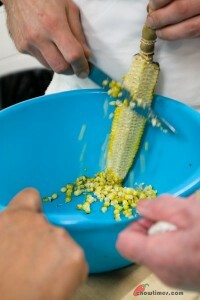 Scrape the corn from the cob for easy consumption. Check out this awesome site I came across. They offer the best daily deals and discounts I’ve ever seen in Vancouver. All of their deals are at least 50%-90% off Vancouver’s hot spots and vary from restaurants, pubs, concerts, body maintenance and more! I love so many deals they are offering and I wanted to share this with you, Vancouver, as it just launched a few weeks ago here and I love supporting great local businesses!